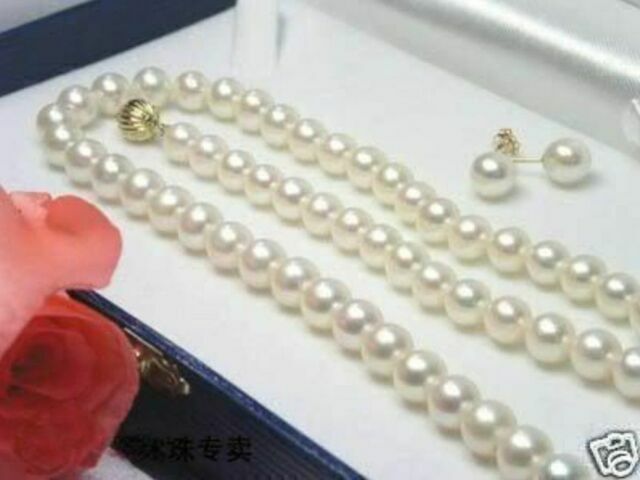 6-7MM White Real Natural Cultured Pearl Necklace Earring Set. Material: 100% nature pearl. Pearl Size: 6-7 mm. Main Colour: White. Style: Necklace. Occasion:Party,Casual,normal. Clasp: SILVER. You may also like. 7-8mm White Akoya Freshwater Cultured Pearl Necklace 25"
The pearls are not all perfectly round but are fair for the price for real pearls.